* Officials in Iran blame killing on Israel, U.S.
TEHRAN, Jan 11 (Reuters) – An Iranian nuclear scientist was blown up in his car by a motorbike hitman on Wednesday, prompting Tehran to blame Israeli and U.S. agents but insist the killing would not derail a nuclear programme that has raised fears of war and threatened world oil supplies. The fifth daylight attack on technical experts in two years, the magnetic bomb delivered a targeted blast to the door of 32-year-old Mostafa Ahmadi-Roshan’s silver sedan as he was driven down a busy street near a Tehran university during the morning rush hour. The chemical engineer’s driver also died, Iranian media said, and a passer-by was slightly hurt. Israel, whose military chief said on Tuesday that Iran could expect to suffer more mysterious mishaps, declined comment. The White House, struggling for Chinese and Russian help on economic sanctions, denied any U.S. role and condemned the attack. While Israeli or Western involvement seemed eminently plausible to independent analysts, a role for local Iranian factions or other regional interests engaged in a deadly shadow war of bluff and sabotage could not be ruled out. Iran has started an underground uranium enrichment plant and sentenced an American to death for spying; Washington and Europe have stepped up efforts to cripple Iran’s oil exports for its refusal to halt work that the West says betrays an ambition to build nuclear weapons. Iran says its aims are entirely peaceful. Tehran has threatened to choke the West’s supply of Gulf oil if its exports are hit by sanctions, drawing a U.S. warning that its navy was ready to open fire to prevent any blockade of the strategic Strait of Hormuz, through which 35 percent of the world’s seaborne traded oil passes. U.S. Secretary of State Hillary Clinton said Iran’s threats to close the strait were “provocative and dangerous” and repeated the White House denial of any U.S. involvement in the killing of Ahmadi-Roshan. Analysts saw the latest assassination, which would have taken no little expertise, as less a reaction to recent events than part of a longer-running, covert effort to thwart Iran’s nuclear development programme that has also included suspected computer viruses and mystery explosions. While fears of war have forced up oil prices, the region has seen periods of sabre-rattling and limited bloodshed before without reaching all-out conflict. 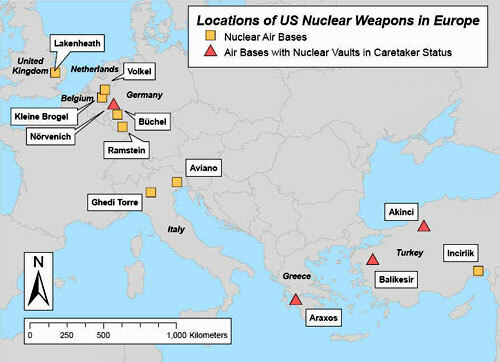 But a willingness in Israel, which sees an imminent Iranian atom bomb as a threat to its existence, to attack Iranian nuclear sites, with or without U.S. backing, has heightened the sense that a crisis is coming. The Atomic Energy Organisation of Iran, which has failed to persuade the West that its quest for nuclear power has no hidden military goal, said the killing of Ahmadi-Roshan would not deter it: “We will continue our path without any doubt … Our path is irreversible,” it said in a statement carried on television. Iran’s leaders, preparing for the first national election since a disputed presidential vote in 2009 brought street protests against 32 years of clerical rule, are struggling to contain internal tensions. Defiance of Israel and Western powers plays well with many who will vote in March. The attack bore some of the hallmarks of sophisticated intelligence agencies capable of circumventing Iran’s own extensive security apparatus and apparently taking care to limit the harm to passers-by. While witnesses spoke of a frighteningly loud explosion at 8:20 a.m. (0450 GMT) and parts of the Peugeot 405 ended up in the branches of the trees lining Gol Nabi Street, much of the car was left intact. This suggested a charge designed to be sure of both killing the occupants and preventing serious injury to others. Witnesses said the motorcycle, from which the rear pillion passenger reached out to stick the device to the side of the car, made off into the heavy commuter traffic. Though the scientist killed — the fourth in five such attacks since January 2010 — was only 32, Iranian media described him as having a role overseeing uranium enrichment at Natanz underground site. The semi-official news agency Mehr said Ahmadi-Roshan had recently met officials of the U.N. nuclear watchdog, the International Atomic Energy Agency. At the IAEA in Vienna, where a spokeswoman condemned the killing, officials could not confirm knowing of him. Analysts say that killing scientists — especially those whose lack of personal protection suggests a relatively junior role — is unlikely to have much direct impact on Iran’s nuclear programme, which Western governments allege is seeking to enrich enough uranium highly enough to let it build weapons. Sabotage — like mysterious reported explosions at military facilities or the Stuxnet computer virus widely suspected to have been deployed by Israel and the United States to disrupt nuclear facilities in 2010 — may have had more direct effects. However, assassinations may be intended to discourage Iranians with nuclear expertise from working on the programme. An Israel official said Mossad agents called that “virtual defection”: “It’s not that we’ve been seeing mass resignations, but rather a sense of spreading paranoia,” the official, who has extensive Iran expertise, told Reuters. He cautioned, however, against assuming that Israel, the United States or both were behind the latest attack. Trita Parsi, a U.S.-based expert on Iran, said the killing might, along with the heightened rhetoric of recent weeks, be part of a pattern ahead of a possible resumption of negotiations on Iran’s nuclear programme; some parties may want to improve their bargaining position, others may see violence as a way of thwarting renewed negotiations altogether, Parsi said. Last month, Iran signalled a willingness to return to a negotiating process which stalled a year ago, though Western officials say a new round of talks is far from certain yet. Iran’s decision to carry out enrichment work deep underground in the once undeclared plant at Fordow, near the holy Shi’ite city of Qom, could make it harder for U.S. or Israeli forces to carry out veiled threats to use force against Iranian nuclear facilities. The move to Fordow could reduce the time available for diplomacy to avert any attack. The announcement on Monday that enrichment — a necessary step to make uranium into nuclear weapons — had begun at Fordow has given added impetus to Western efforts to impose an oil export embargo intended to pressure Tehran to halt enrichment. Iran, a signatory to the treaty banning the spread of nuclear weapons, complains it is entitled to conduct peaceful research and denies any military nuclear aims. Its adversaries say its failure to take up their offers of help with civilian technology undermine the credibility of its position. Oil prices have firmed 5 percent since U.S. President Barack Obama moved on New Year’s Eve to block bank payments for oil to Iran. The European Union is expected this month to impose a ban on its states buying oil from Tehran, and other major customers have been looking for alternative supplies. In Iran, the new U.S. sanctions have started to bite. The rial currency has lost 20 percent of its value against the dollar in the past week and Iran has threatened to shut the Strait of Hormuz. U.S. Treasury Secretary Timothy Geithner, visiting Beijing, appealed for Chinese cooperation on nuclear non-proliferation, but Chinese officials made clear that they still opposed the U.S. sanctions and would go on buying Iranian oil. Microbiologist Dr. David Kelly, 59, was found dead after seemingly slashing his wrist in a wood near his home at Southmoor, Oxfordshire, days after being named as the Iraq dossier mole. An investigation into the circumstances surrounding his death continues. Dr. Kelly was Britain’s leading expert on Baghdad’s weapons programs. Dr. Steven Mostow, 63, was one of the country’s leading infectious disease and bioterrorism experts and was associate dean at the University of Colorado Health Sciences Center. He died in a plane crash near Centennial Airport. Died 2012Centre for Social and Economic Research on the Global Environment in the UK. He was discovered by police and ambulance men. The body was naked from the waist down and partly wedged under a chair. Cause of death: not determined by post-mortem examination. Dr. David Banks, 55, died in an aircraft crash in Queensland, AU. Much of Dr. Banks’ work involved trying to keep diseases affecting cattle, pigs and fruit orchards out of Australia. His current work looked at foot and mouth disease and its potential to spread through the archipelago and Australia in addition to swine fever, Nipah virus and Japanese encephalitis. Virus expert, Dr Robert E. Shope, and principal author of a highly publicized 1992 report by the National Academy of Sciences warning of the possible emergence of new and unsettling infectious illnesses died at age 74 of lung transplant complicatons. Dr. Shope also built the World Reference Center for Emerging Viruses and Arboviruses, a collection of some 5,000 samples. Harvard biochemistry professor Don C. Wiley has been declared missing after his abandoned rental car was discovered on a highway outside of Memphis, Tenn. The car, discovered on I-40—which runs between Memphis and Arkansas—had the keys in the ignition, the hazard lights off and a full tank of gas. Award-winning micro-biologist David Wynn-Williams, 55, killed by a vehicle while out jogging in England. In 2000 he was appointed leader of the Antarctic Astrobiology Project, which explores the effects of environmental stress at the limits of life on Earth. Wynn-Williams had assessed the capability of microbes to adapt to environmental extremes, including the bombardment of ultraviolet rays and global warming. ZANZIBAR, Tanzania — Zanzibar says it is in the process of de-registering 36 Iranian oil tankers that bear the flag of Tanzania after an investigation proved their true origins. Zanzibar Vice President Seif Ali Iddi told the House of Representatives on Friday that his government would also terminate the contract of Philtex, a Dubai-based contracting agency that is accused of misleading the government. The flag ruse appears to have been an effort by Iran, which is under pressure from the U.S. and its allies to halt its nuclear enrichment program, to avoid crippling international sanctions. Zanzibar, a semi-autonomous region of Tanzania, had been under pressure from the international community to investigate the origins of the vessels. Tanzania says shipping agent reflagged Iranian oil tankers without country’s knowledge, is now de-registering vessels. DAR ES SALAAM – Tanzania said a shipping agent based in Dubai had reflagged 36 Iranian oil tankers with the Tanzanian flag without the country’s knowledge and approval. Tanzania said it was now in the process of de-registering the vessels after an investigation into the origin of the ships concluded they were originally from Iran. Tanzania launched an investigation last month over accusations that it had reflagged oil tankers from Iran and asked the United States and European Union to help it verify the origin of the tankers flying the east African country’s flag. A report with the investigation’s findings was discussed in the House of Representatives of Zanzibar, a semi-autonomous part of Tanzania late on Friday, and the minutes of that debate were seen by Reuters late on Saturday. The ships flying Tanzania’s flag were re-flagged by Zanzibar, which has claimed it was misled by its Dubai-based agent, Philtex, and would end its contract with that firm. “The government has thoroughly investigated this issue and established that the Zanzibar Maritime Authority (ZMA) through our Dubai-based agent, Philtex, registered 36 Iranian crude oil tankers and containership vessels to fly the Tanzanian flag,” Zanzibar Vice President Seif Ali Iddi told the assembly. Howard Berman, the ranking member of the US House Committee on Foreign Affairs, had accused Tanzania of reflagging at least six and possibly as many at 10 tankers, saying it was helping Iran evade US and European Union sanctions aimed at pressuring Tehran to curb its nuclear program. He said Tanzania could face US sanctions for the practice. Berman has also asked the small South Pacific island nation Tuvalu to stop reflagging Iranian oil tankers and warned its government of the risks of running afoul of US sanctions.